John Kasich tells reporters things are good in Ohio. Gov. John Kasich still has almost two more months on the job, but he’s apparently starting to wind down his work and consider his legacy. And while he's not yet saying if he's running for president, he may be starting to forecast what he’s planning on doing next in talking about issues beyond Ohio. Kasich comments on national issues. Gov. Kasich outside his office in Columbus. 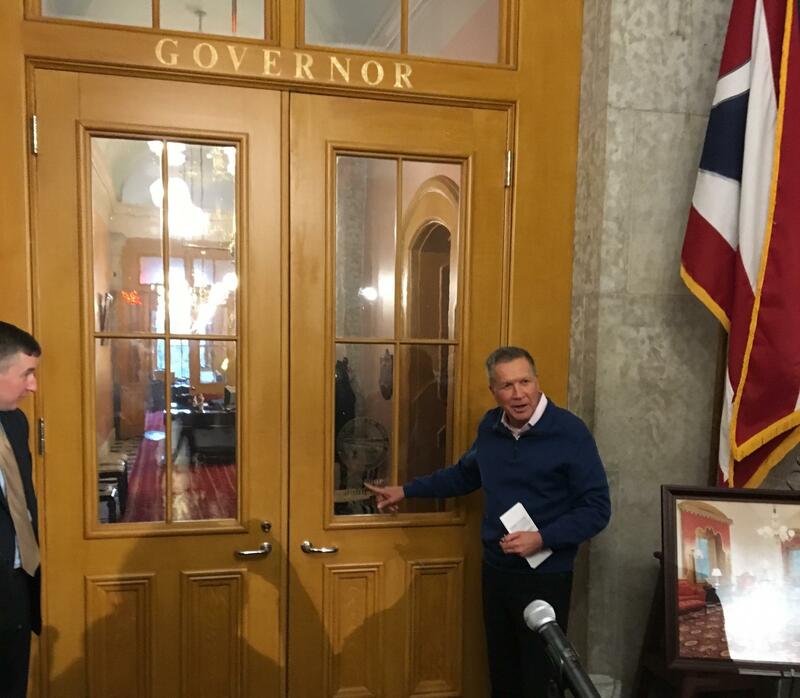 Kasich also said his opposition hasn’t changed to the so-called “Stand Your Ground” gun bill and to the six-week abortion ban that just passed the House. Polls and pundits have suggested that voters are looking for more moderate, consensus building candidates for the 2020 election. Many political strategists are weighing in on what this year’s election results mean for Ohio going forward. With the GOP sweeping the statewide executive races, many say Ohio is without question a “red state”. But one politician says, somewhat surprisingly, that’s not necessarily the case.